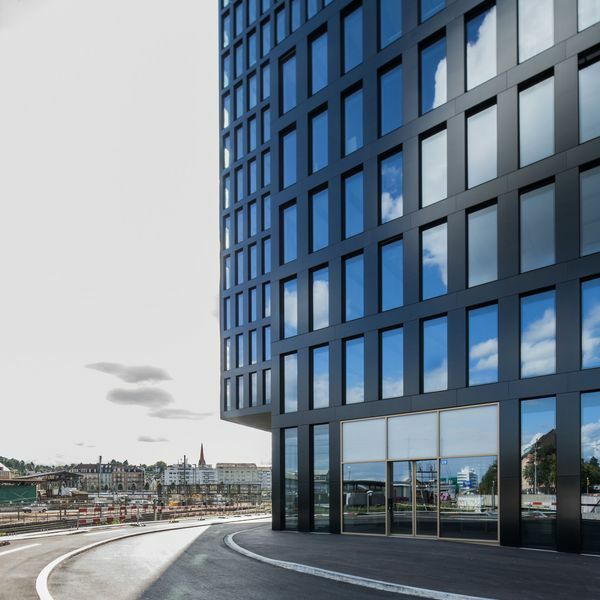 Grosspeter Tower is built at a prominent location in Basel, with access to the A2/A3 highway in the immediate vicinity and the Swiss Railway station nearby – an attractive address for businesses. 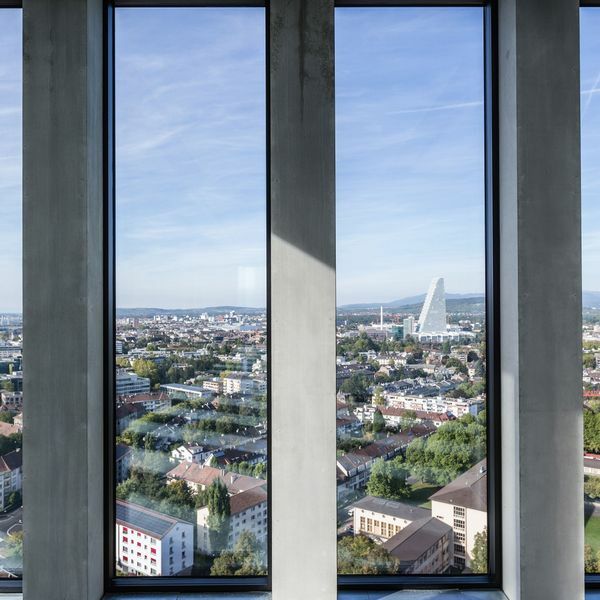 The 78-meter-high tower rises into Basel’s skyline, creating an urban highlight in the form of an autonomous land at the entrance to the city. In terms of town planning, the project is based on a land-use plan for the Grosspeter site, which is legally binding since 2004. Grosspeter Tower’s height and architecture makes it one of the city’s most striking buildings. Its shape comes from the concept of two interlocking volumes, which present themselves in a different form from every angle. 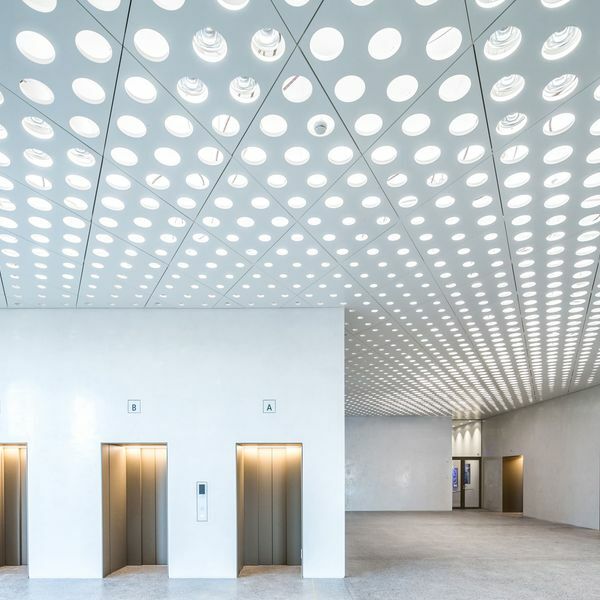 The project provides for mixed-use with offices and a hotel, according to the “core and shell” principle, with a basic fit-out and a tenant fir-out. Spacious lobby and reception are located at the ground floor. The hotel in the base area on floors 2 to 6 complements the offices optimally. Spaces of different sizes in the 22-story high-rise enable realizing diverse individual office concepts. The very stringent quality requirements in the building’s overall concept also result in an excellent eco-efficient footprint. A borehole heat exchanger array provides the heat-pump system and cooling unit with geothermal energy. Photovoltaic surfaces are integrated into the façade and on the roof. With his sober elegance, Grosspeter Tower is an example for the succesful symbiosis of solar technique and architecture.